It is a major thing for the Dutch shipyard group Damen: the Mangalia shipyard, formerly known as Daewoo Mangalia Heavy Industries (DMHI) will be operated as a joint venture with the Romanian Government. Damen will assume operational control. 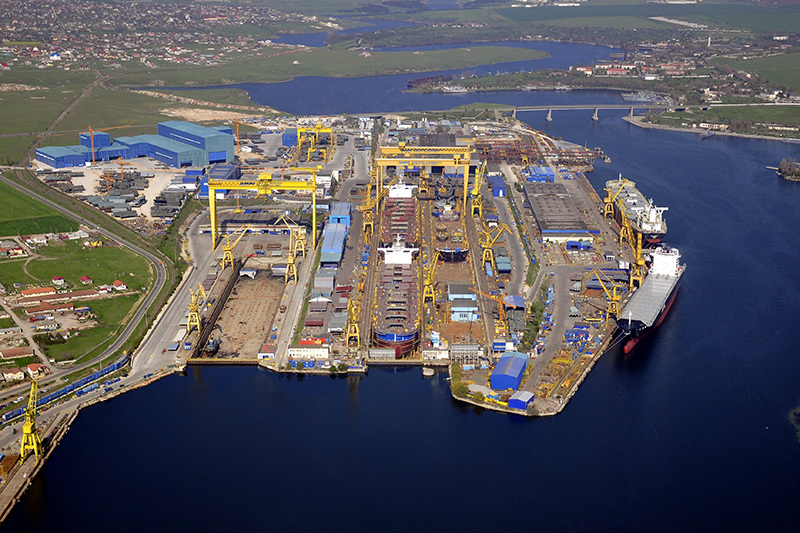 The yard, located on the Black Sea coast, will be renamed Damen Shipyards Mangalia. This move represents a strategic complement to Damen’s current shipyard portfolio, with the possibility for the construction and conversion of large and complex ferries, There are three drydocks with a total length of 982m and 1.6km of berthing space. 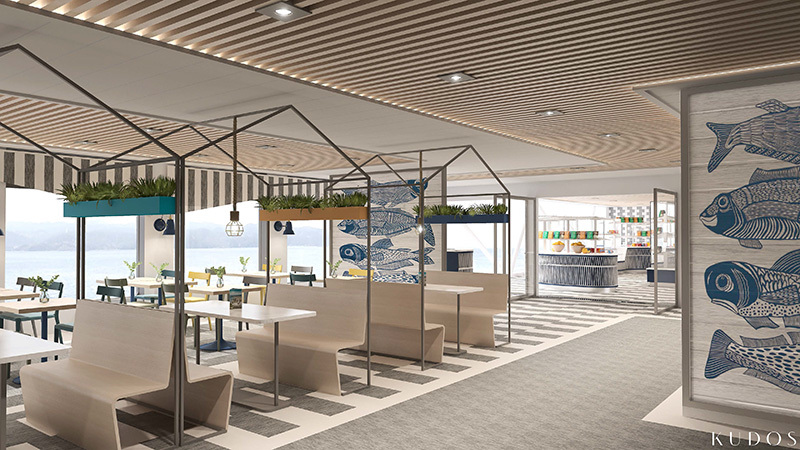 LMG Marin has been awarded the design of two battery-plug-in ferries for the Festøya-Solavågen connection (Ålesund), operated by Norled. 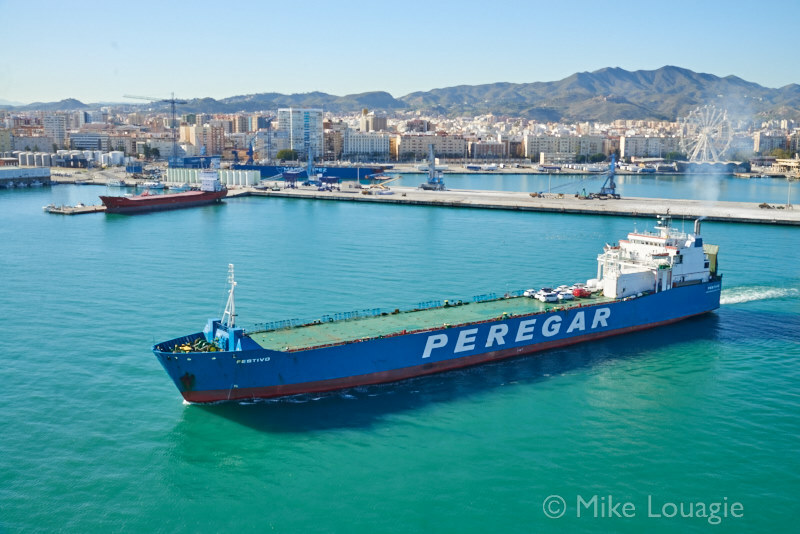 The contract with Remontowa Shipyard and Norled was signed on 11 July. 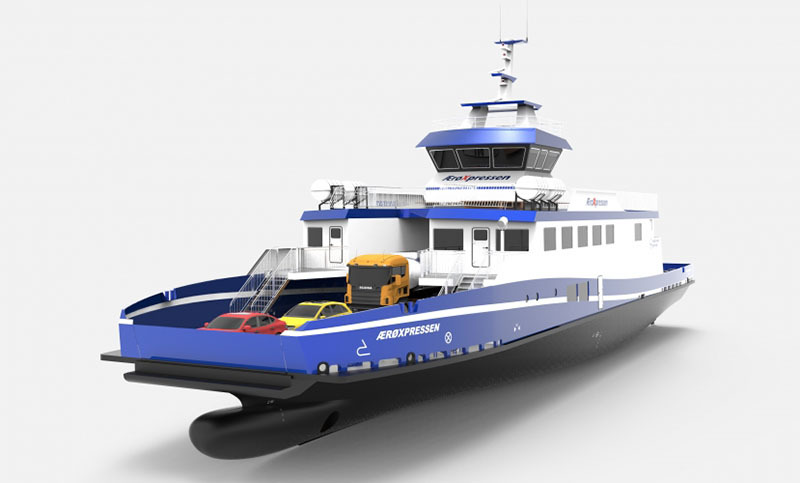 The new ferries will be equipped with an innovative Diesel Electric Hybrid system. Normal operation: entire required power comes from battery packs. Batteries to be recharged via pantograph from the land grid, in 11 minutes. Shore charging system to be integrated with an automatic mooring system. In case of emergency: generating sets running on 100% Biodiesel. The LMG 120-DEH design is also characterized by an innovative vehicle deck and accommodation arrangement: the passenger lounge is below the car deck. 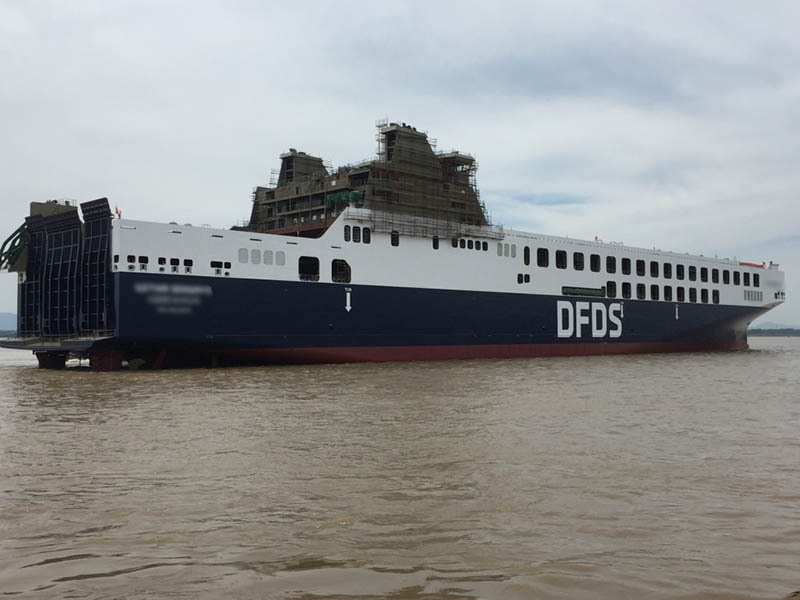 DFDS’ first Jinling vessel (6,700 lane meter) was launched into the Yangtze River on 16 July. 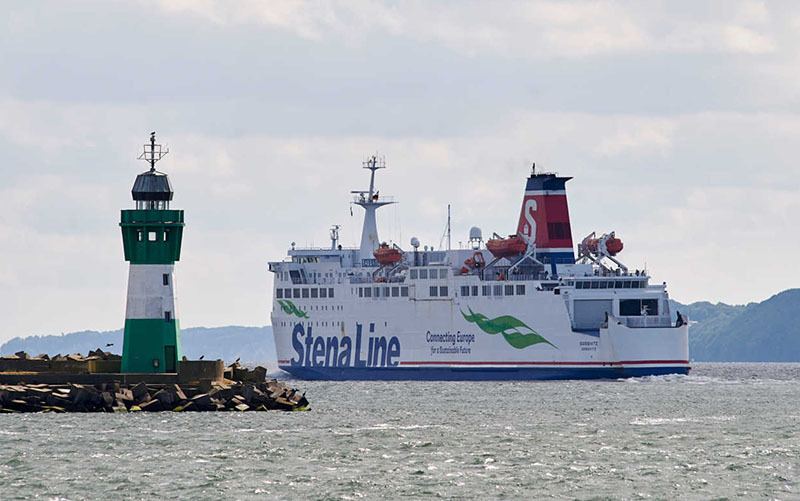 Now it is final: Stena Line will move from Varberg to Halmstad at the end of 2019. It revives the memory of the former Lion Ferry operation, acquired by Stena Line in 1985. 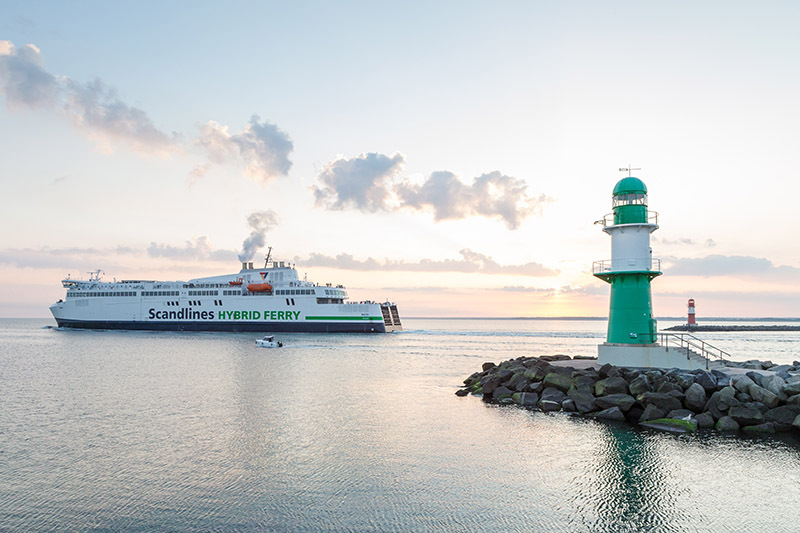 The reason for the move is that the city of Varberg plans to urbanize the district of Västerport where Stena Line is berthing today. 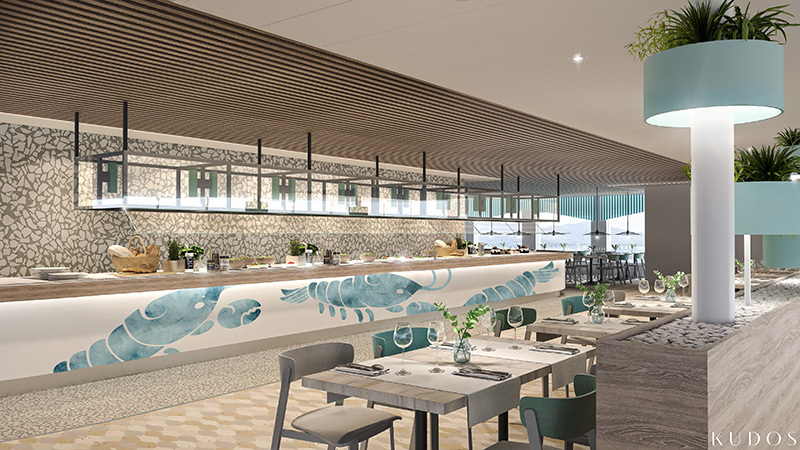 “We expect the new ferry terminal to be ready for traffic by the end of 2019,” says Björn Alvengrip, CEO HallandsHamnar. 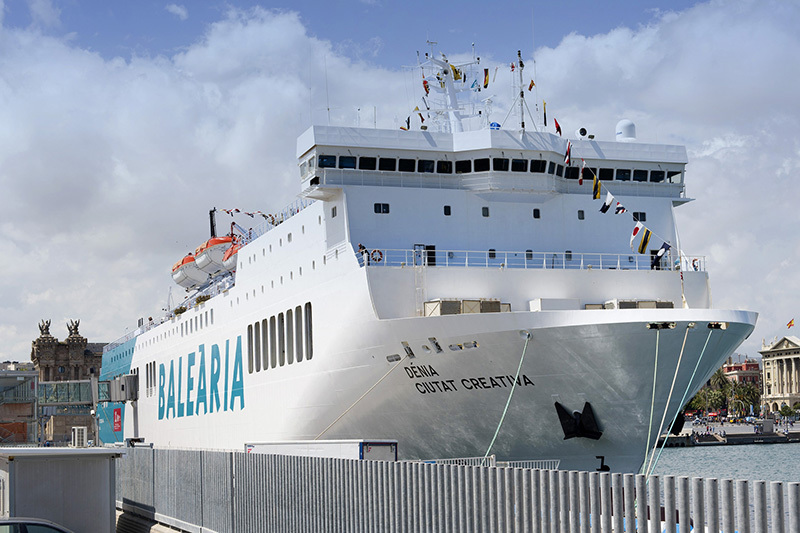 HallandsHamnar is the company managing both ports. 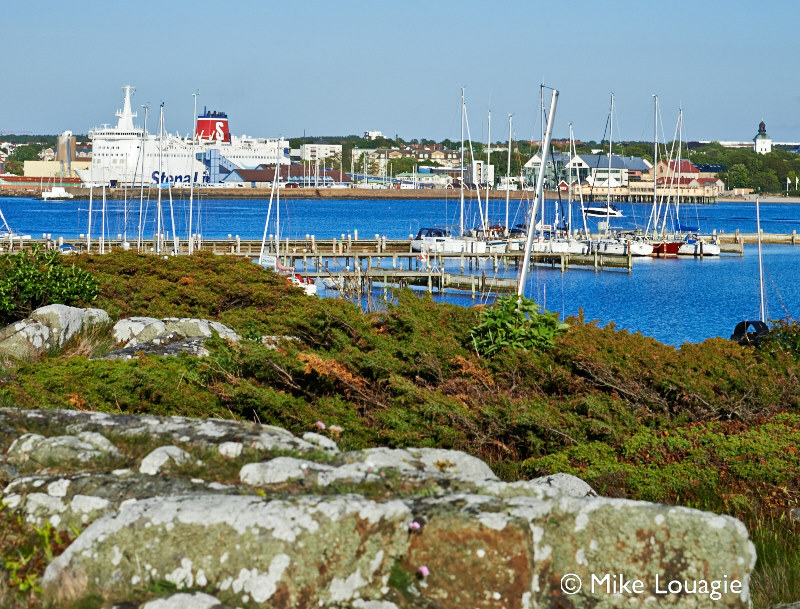 Photo: STENA NAUTICA in Varberg, shortly before her departure to Grenaa in Denmark. 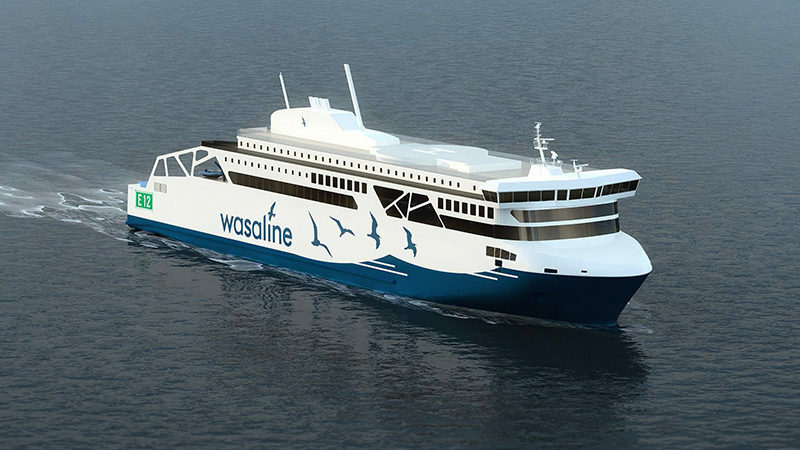 Polish Engineering company Nelton and Danish shipyard Hvide Sande worked together for developing an energy-efficient ferry. 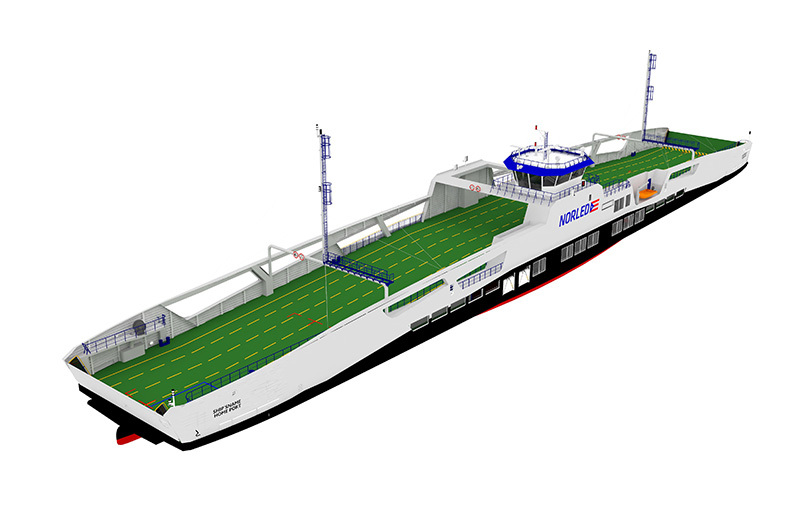 The 50m carferry for Danish AeroXpressen, will operate between Marstal and Rudkøbing. The shallow waters were challenging for the design. Stena Line is creating new capacities for rail transport and project cargo with the new Rostock-Trelleborg timetable.